The following is a guest post about rewards credit cards. If interested in submitting a guest post, please read my guest post policy and then contact me. You could probably write a book about all the different strategies and advice on how to maximize your credit card rewards or how to choose the best one. Airlines, hotels, and banks have all jumped into the foray of offering rewards credit cards. “Get 7 free nights,” “double miles,” “free checked bag” are all offers that they use to entice us into signing up for their credit cards. It is so easy to get sucked into the trap of having way too many credit cards and not enough rewards. How are we supposed to see through their smoke screens and get the most out of our rewards? 1) Points, miles, and nights are all fluff –cash is king. Ever looked at your rewards statement and tried to figure out exactly how much 45,000 miles are worth? Or how many “free’ nights” it’ll take to stay in that really nice hotel at the beach? Oh yeah, restrictions and blackouts and fees to redeem my free flight? Ugh. Rewards are just a way for companies to confuse you. Their goal is to get the most money possible out of you while giving out the fewest rewards. However, there is one universal system that makes sense: cash. Everybody knows how much $100 will get you at the Marriott or on Delta. When looking for a rewards credit card, sit down and do some math. Pretend you’ll spend $25,000 in the first year of having the credit card (I’d say a fair estimate of what a young professional would spend in a year, but it really can be any amount). Figure out how many points you’ll get and what type of rewards you’ll earn. The card that ultimately gives you the most free stuff should be your winner. 2) Determine what reward you’re really looking for. I love to travel, so it would make sense for me to focus on cards that give me good travel rewards. I also live in Atlanta, which is a Delta hub, so it wouldn’t make sense for me to get a United Airlines credit card. For someone who values hotels over flights, it might make sense for them to get a hotel rewards credit card. If you’re more of a homebody and would just like some extra cash, then a cash rewards card would be a smart decision. 3) It’s all about redemption, not accumulation. In reality, you shouldn’t care how many points different cards give you; the only thing that matters is what you can use them for. Double miles don’t mean anything unless they give you more free stuff. Do some math and figure out which card gives you the most bang for your buck. 4) Go big. In my opinion, it is a good idea to pick the best card and stick with it. The best card should be the one that gives you the best rewards, so using any other card is almost a waste. You’re throwing away points you could have gotten with your best card. 5) Differentiate perks from points. Free bags and priority boarding on my Delta credit card are perks. The miles I accumulate with each purchase are points. When choosing a rewards credit card, be sure to take that into consideration. If I find another card that would give me better miles vs. my Delta card, then free bags and priority boarding shouldn’t mean as much. Perks are often just company-designed ploys to convince you to get their card, hoping you’ll overlook their inferior rewards. 6) Watch out for fees. $99 seems to be a fair fee for a rewards credit card. My Capital One Venture card costs me $59 per year. The Marriott Premier Card will set you back $85 each year. Some of the Delta airlines credit cards can run you $199 or even $499 each year. Any less and you’re doing well, any more and you need to be able to justify more rewards in return for the extra fee. Airline and hotel cards will be forced to hit you with taxes when you redeem flights or nights. While a free night is still nice, a free(er) night is even better if you can get it. 7) Get creative. Rewards are just one big game. When I redeem flight rewards using my Capital One card, I also get Skymiles from Delta. When I book fights, I use Expedia and get 4x miles on my credit card, Expedia Points, and Delta Skymiles. Always sign up for rewards programs and find ways to maximize the number of points you’ll earn. Always remember that credit card companies are trying to give you the fewest rewards and will go out of their way to do so. Focus on earning rewards that you actually want. Consolidate your spending onto the card the gives you the most rewards. Play their game and jump through a few hoops to score big on extra rewards. Doing some research and getting creative will ensure that you end up with the last laugh (or free flight in this case)! Great advice! 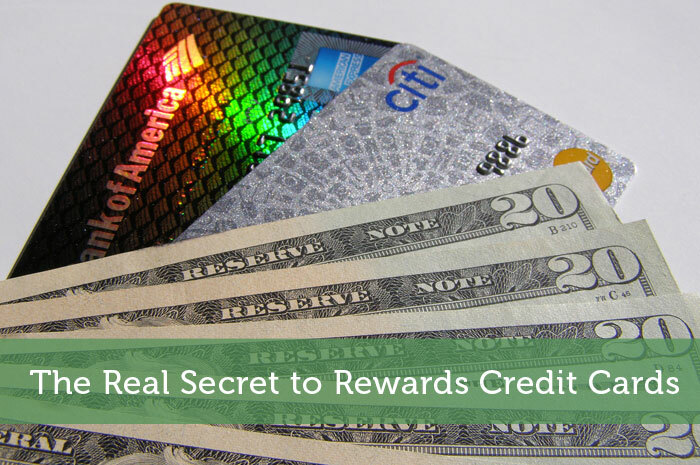 People are scared of credit cards and could be missing out on rewards. Even then, amongst those that I do see embrace them, all too many just let those points build up without any use for them. Totally true, learn to treat your points like money, and have a plan to use them! I’m a points hoarder because I’m always trying to reach the next reward level (which is usually a better deal). I’ve been collecting things like Air Miles for over 11 years and have never redeemed them. I know that I need to get on that! I totally feel you on that one too, it’s often an internal conflict whether to go for status or to redeem miles for a free flight. The airlines are pretty sneaky! Using a rewards credit card that’s not tied to an airline or hotel, I’m able to still go for status when I redeem my rewards for a free flight. Win-win! Wow, congrats on finding a way to do well in a system that’s stacked up against you. Perhaps cash rewards is just a little easier but sounds like you found a way to win big! If you can find a way to beat the system, I say go for it! The real secret to rewards credit cards is that the incentives are there to encourage spending. It is incredit card companies’ interest to encourage buying behavior, hence the rewards. Having said that, responsible credit card users benefit from credit card rewards by following the tips in the article. Also check for policy change agreements in the contract. A long history of miles or rewards accumulation may vanish in an instant if the company is able to do so through their terms of service. Great points, you definitely have to play the game within their rules. If they suddenly wanted to change the redemption rate or even do away with it, they certainly could be allowed to! That’s why I avoid stockpiling my points forever, and redeem them! Also, agree with your point that it should be said that you shouldn’t use a rewards credit card to buy more things, just to get more rewards. I found this amazing Airmiles credit card with Amex and I was so close to signing up, when I realized the fee was $400/year. I would be fine with this if it skipped the first year (I’d cancel right before the fee) but no such luck. Definitely watch out for that sort of thing! Yikes, $400 per year? Wow, pricey indeed. I suppose if the benefits and perks really were worth $400 but I think you’d be hard pressed to justify that cost. Definitely a good point to not overlook things such as the annual fee! In my opinion, the best way to get the most out of your reward points is by redeeming them for gift cards. For example, I have a capital one rewards card that earns 2 miles for every dollar I spend. Once I earn 10,000 miles, I can redeem for a $100 Amazon or other gift card. If I wanted to redeem $100 check or account credit, I would need 20,000 miles!